Maybe you’ve had a bad experience with the two most popular taxi-alternatives in the app store; maybe Uber and Lyft just aren’t available in your area ― perhaps because they pulled out of your city completely. Whatever your reason for avoiding these particular ride-sharing apps, you still need a way to get around. Fortunately, thanks to advancements in tech and startup platforms like RideCell, there are dozens of alternatives eager to earn your business. The following eight ride- and car-sharing apps are among the best ― and some of them even beat out Uber and Lyft in terms of reliability, price, and ease of use. Fare has slightly higher-than-average prices, but its arrival times are lightning-quick like you might expect from a bigger-name brand. Fare’s mobile app still has a few issues to resolve ― like that it displays drivers’ and passengers’ actual phone numbers instead of using a proxy, which may be a safety concern ― but overall it is a reliable ridesharing alternative. As yet, Fare is only located in Austin, Texas (thanks to the departure of Uber and Lyft) but you should expect to see it expanding to more cities soon. Taxis aren’t dead ― yet. 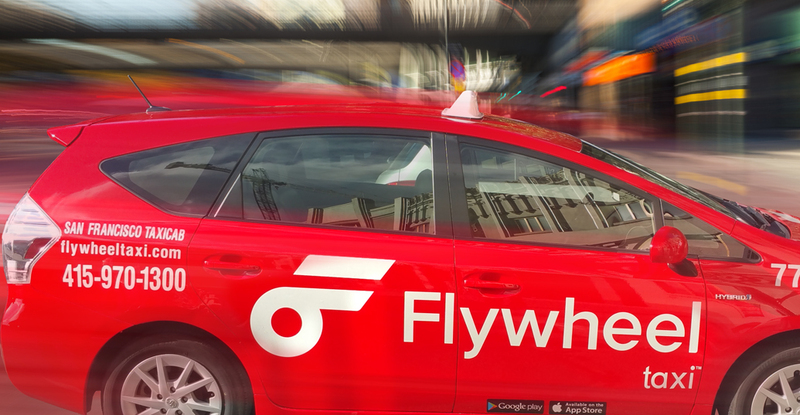 In a strong attempt to disrupt the disrupters, many taxi companies have adopted the use of Flywheel, an app that allows users to order a taxi and pay via mobile device. Flywheel is government-certified, which means riders can trust the taxis they enter, making it perhaps a safer alternative to rideshares. Though the cars are typical cabs and won’t be as luxurious as many ridesharing vehicles, they will get you from point A to point B when you need them. GetMe deviates from the standard ridesharing system in that not only will it pick you up, but it will pick stuff up for you, too. A combination rideshare and delivery app, GetMe will get you anywhere or get anything ― for a price. Though GetMe’s rates are slightly above the Uber and Lyft average, this service doesn’t employ surge pricing, which means even on the busiest of nights, you can expect a reasonable fare. This rideshare/delivery magic is all over Texas, but it is rapidly expanding elsewhere in the Southwest. A car service for the digital age, GroundLink allows you to summon a swanky black car to pick you up and tote you around. Admittedly, GroundLink isn’t especially affordable; it’s meant for luxury or business travelers who need assistance moving to and from their hotels. Still, the app makes calling a car incredibly convenient, so if you ever get the urge to splurge on a trip, you might consider GroundLink. Another e-hail company that focuses on nicer black cabs, Hailo operates out of London and has a firm grasp on the European market. Though the business recently pulled out of U.S. markets, abandoning competitive cities like Chicago, Boston, and New York, Hailo plans to return in a few years, once it has firmly established operations in virtually untouched Asian markets. Therefore, if you travel to Europe, you might consider giving this app a try. Once known as Taxi Magic, Curb is yet another attempt by cab companies to regain lost customers. However, unlike Flywheel and Hailo, Curb has expanded its services, providing not only taxies but also fancy cars-for-hire, like Uber Black. 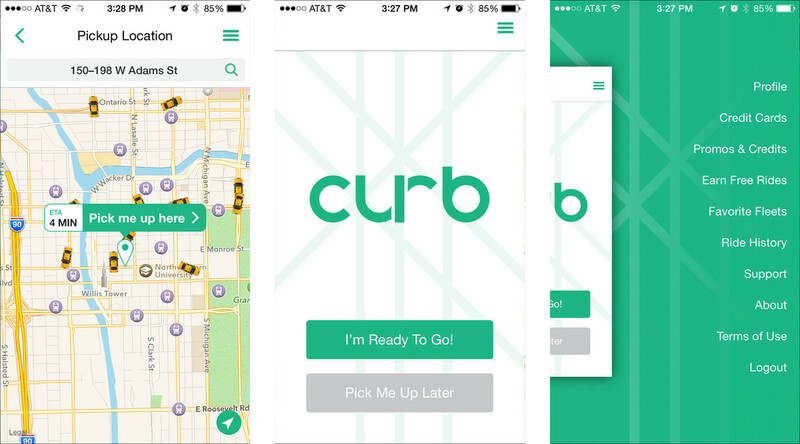 Unlike Flywheel and almost all ridesharing services, Curb allows users to pay in cash if they so wish, and the company is planning to launch pre-scheduled rides from popular locations, like airports. Unlike other rideshares, which often market themselves as taxi replacement services, RubyRide goes further to bill itself as a cheaper alternative to owning a car. Functioning as a subscription service, RubyRide allows unlimited pre-scheduled pick-ups and drop-offs within certain zones. The company is adding an on-demand service as well, and it has plans to begin delivery options as it expands. Currently, RubyRide is only available in Phoenix, Arizona, but this innovative model might explode into other cities soon. In exceedingly walkable cities, perhaps the only reason you might need a ride is to reach a long-distance transportation station ― i.e. the airport. In this case, Wingz is the service for you. Requiring booking at least an hour in advance, Wingz isn’t particularly convenient for round-trips within a city, but if you know well in advance that you need a ride, Wingz is a cheap option.